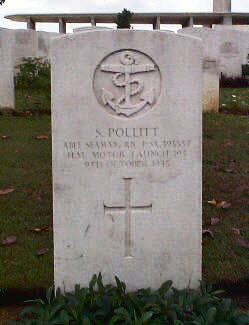 Able Seaman Syd Pollitt died on 9th October 1945. He was one of many unfortunate servicemen in Singapore who were poisoned by illicitly distilled spirits or ‘hooch’ in the immediate post-war period. These illicit spirits were locally distilled and sold in restaurants and bars labelled as whisky and other spirits. To men kept short of such things during the war years, a readily available glass of spirits would have been very tempting. To have survived the war only to die as a result of poisoned alcohol was tragic indeed. The London ‘Times’ reported on 11th October 1945,“Twelve Servicemen have died in Singapore in the last three days, and several more are likely to die, as a result of drinking in Chinese restaurants spirits labelled ‘whisky’ and ‘gin’, but containing Methyl-alcohol. The lack of entertainment in the town and the impossibility of obtaining reputable drinks are the principal causes of this affair. Soon a canteen will be opened in which beer will be obtainable”. The ‘Straits Times’, Singapore’s main newspaper reported on 12th October 1945, “Poison has been discovered in locally manufactured hooch and has already killed 20 Servicemen. Military and civil police in Singapore have swooped down on retailers of this poisonous liquor during the last 48 hours and several arrests have been made. Up to midnight on Oct 10, there have been 40 cases admitted to hospital, most of them in the last 48 hours. Of these 40, 20 have died and nine more are dangerously ill. Two of the early cases who are out of danger have lost their sight.......”. Syd Pollitt, 3rd from left in the front. 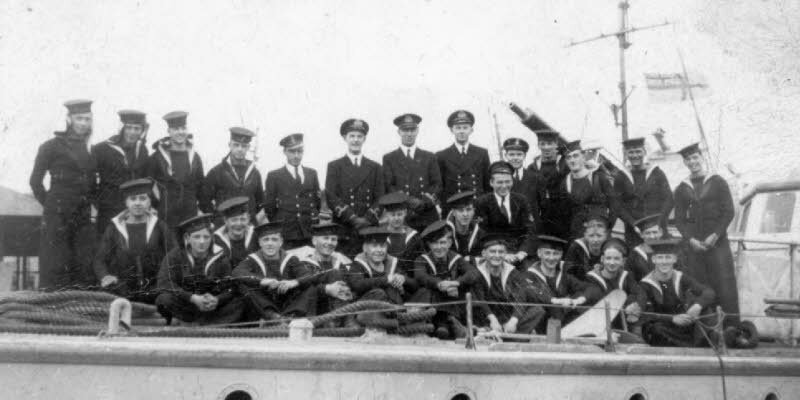 The photograph was taken on MGB 606 which was sunk in 1943. 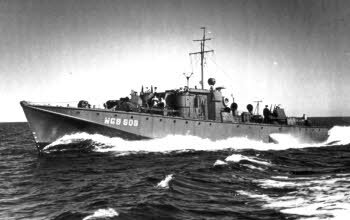 MGB 606 was lost on 4th November 1943 off the coast of the Netherlands, during an action with German surface craft. My thanks to Gregory Hewitt of Brighton (Syd’s nephew) for the photographs and information.